These T-shirts were originally printed to support the PA Parks and Forest Foundation. However, they have reached their goal in repairing the stone chimneys! Thank you for all of your support! The price of the shirts have now been reduced. 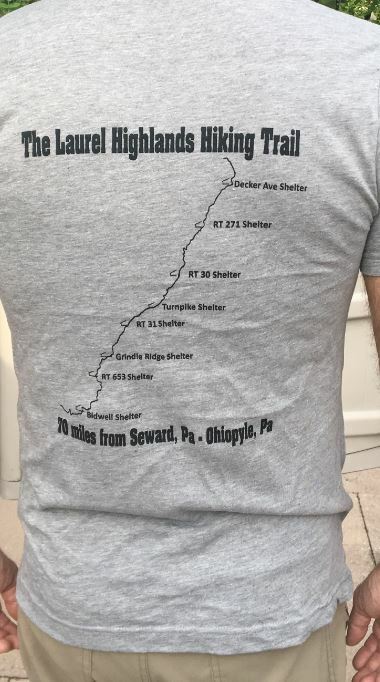 The shirts are a great way to show your love for the trail. The T-shirts come in six, unixex sizes (small – 3XL). They seem to run a little small. For example, if you are between a small and a medium, then I would suggest a medium. If you are between a medium and a large, then you should get a large. 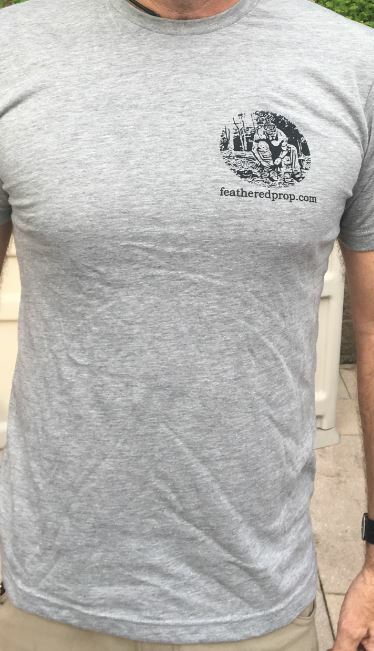 Scroll to the bottom of the page to read how the shirt is fitting others. Return policy: I will exchange your shirt for another size as long as it is unworn and in new condition.